Download the iTrip Travel app to access your Xplorie Program Details! Text ENJOY85 to 95577 for more info or click here for full details! Located right on Bonita Beach at Doc’s Beach House restaurant, Bonita Jet Ski & Parasail has everything you need for an amazing day at the beach! 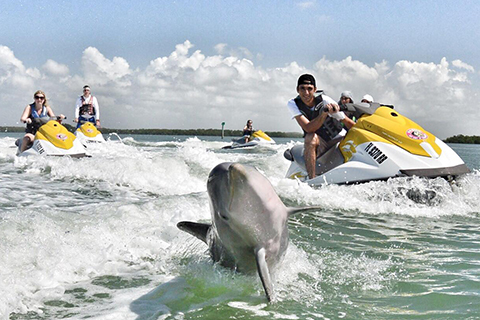 Cruise the Gulf of Mexico on a jet ski and experience exhilarating fun on the open water! Enjoy one free adult half hour single rider wave runner rental per unit, per paid night stay, with reservations made in advance. Reservation required. Noncumulative and nontransferable. Unused admissions expire daily. Seasonal restrictions apply - call Xplorie for availability. Established in 1988, Bonita Jet Ski & Parasail is the premier watersports company of Southwest Florida. Paddle on the warm waters of the Gulf of Mexico in one of our kayaks! Made with double hull construction our kayaks are safe and easy to use! 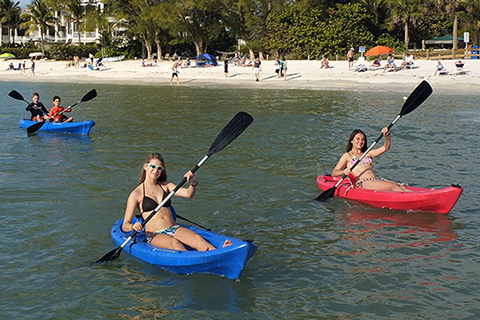 Enjoy one free adult half hour rental for a single rider or double rider kayak per unit, per paid night stay, with reservations made in advance. Reservation required. Noncumulative and nontransferable. Unused admissions expire daily. Looking for something different and exciting to do in Southwest Florida? 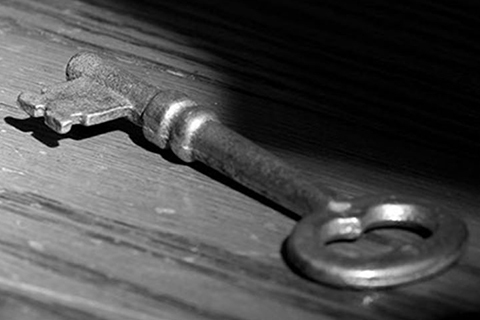 Brainstorm Escape Room is a unique and fun activity for friends, family and coworkers. Use your brain power to find hidden objects, figure out clues and solve puzzles. Do you think you have what it takes to make your great escape? Enjoy one free adult admission to the room of your choice per unit, per paid night stay, with reservations made in advance. Reservation required. Noncumulative and nontransferable. Unused admissions expire daily. Mornings are usually busy, especially early in the week. Have your Xplorie Card and major credit card ready. Know your preferred activity day and requested time, but have alternatives available. Read the rules and restrictions to maximize your activity usuage. CANCELLATIONS MUST BE MADE 24 HOURS PRIOR TO THE SCHEDULED EVENT. Any late cancellation or no-shows (including partial no-shows) will be charged to the credit card on file for all admissions reserved, including the complimentary reservation. The Xplorie card must be presented with a photo ID to claim the activity. The last name on the Xplorie card must match the last name on the photo ID. Activities must be redeemed by an adult (18 years or older). Guest receives one complimentary admission, per activity, per unit, per paid night stay. Activities are noncumulative and nontransferable and are valid for daily and weekly stays only. Activities are available on the day of check-in and for each night paid, but they are not available on complimentary days or on the day of departure. Reservations must be made through Xplorie in order to take advantage of the complimentary activity. Reservations made by guests directly with the Activity Provider and not through Xplorie will not be complimentary. All reservations must be made with a valid credit card. Activities are subject to weather, maintenance, and availability and therefore, are not guaranteed. The Activity Provider reserves the right to hold up to 30 days a year for private events. Activities, prices, and availability are subject to change. Round-Trip airport transportation available for up to (3) passengers. One trip per paid reservation, 20% gratuity is required, additional charges may apply.